Imagine being on the job and having a device that serves to protect and educate you. As if this weren’t enough, imagine that this very device is something you can wear. It’s portable and it’s there to provide you with a helping hand at the drop of a hat. Don’t actually drop this hat though, because it is the very device that is keeping you on top of your tasks. Through this system you get a first-hand experience of the real world. This is the Turbinator TG3 and it’s only the beginning. Wearable technology is not a new concept; it has been around since the 80’s. Scientists, inventors, and entrepreneurs alike have spent years humanizing the technology and developing ways for consumers to integrate it into everyday life. The new millennium brought the creation of the smartphone. You can’t take more than a couple of steps without seeing a person concentrating on what is essentially their tiny hand held computer. Between blinks, humans want to have it all in the palm of their hands. Everyone wants to check messages, watch videos, ad schedule- essentially run their lives on a tiny hand held computer. George Gramatikas, is the founder of the Turbinator TG3 project. The TG3 incorporates Google Glass a new consumer electronics device that is distinguished by its integration of an optical head-mounted display, augmented reality, camera, web access and voice-based interaction. With the technological takeoff of Google Glass come systems such as the Turbinator TG3. Wearable tech such as the TG3 allows new employees to be trained more consistently and efficiently than ever before. This system allows new workers to learn about machinery through Google Glass and employees can even be quizzed through smart phones while completing daily tasks to facilitate quick thinking. Gramatikas shares that possibly the most important feature of wearable systems is their troubleshooting capabilities. 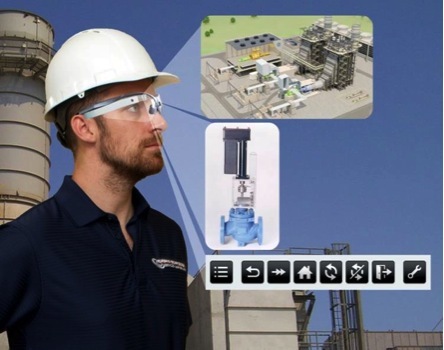 Through Google Glass integration the TG3 allows users to connect hands free with equipment information and even connect with industry experts. 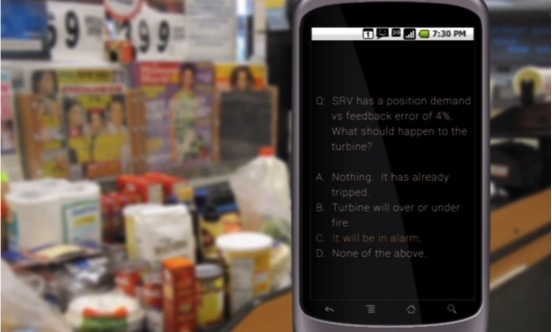 A worker can approach malfunctioning equipment, confirm the image using Google Glass, then diagrams and flowcharts with repair instructions will appear. Almost instantly an employer can be provided with help that could potentially save their lives in a real world experience. Employees using the TG3 may work in hazardous industries and having the knowledge from an expert or computer right in front of their eyes can mean the difference between life and death. Wearable technology is the future and it’s here. Now that systems like the Turbinator TG3 are in development, there is no looking back. As we continue to crave technology use in our everyday lives through work, social interaction, and personal development, this technology will continue to be essential, and the Turbinator TG3 is only the beginning. To speak with George Gramatikas or to learn more about the Turbinator TG3 project, contact Christina Christina@publiclyrelated.com.